There's really not much to say about this, except to show how it works. 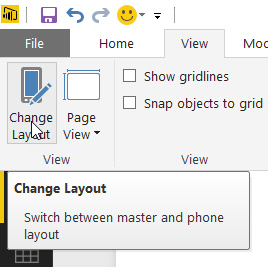 This feature has been in Power BI Desktop preview mode for a couple of months now, but it's finally been promoted into the finished product. Click on the View tab of the ribbon while designing your report. Click on this tool to toggle between normal and phone view. 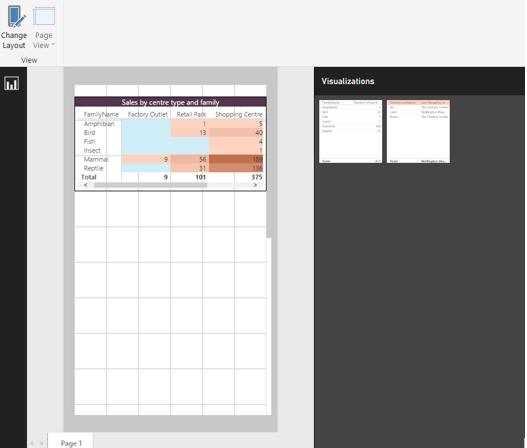 You can drag visualisations on to your phone template to see how they look, but that's about it! Power BI Desktop does a great job of making published dashboards look good on a mobile phone. I can't quite see the point of this feature!